This page is now deprecated as the 3rd party products mentioned are no longer being supported or available for download. MySpeed Premier will allow you to control the playback speed of video that you download to a PC or Mac. The primary benefit of playing video offline is you can view the video while you are away from an Internet connection, such as on a plane or train, or when a low-speed connection can’t support the bandwidth required for high-speed video playback. To play video offline with MySpeed Premier you'll need two additional components not provided by Enounce. The first is a way to download the video. The second is a player to play the video file once downloaded. Below are basic instructions for downloading video from most video websites. Note: Enounce does not endorse or have a formal relationship with the third party products mentioned on this page. The first task is to find an easy way to download video. For this you need a video download software program. Since we are referring to Flash video, this software is sometimes referred to as an FLV Downloader or YouTube Downloader. 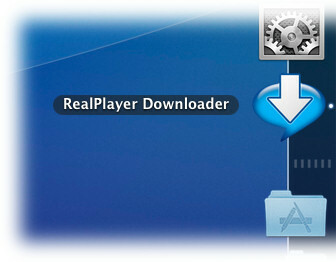 A quick search at Download.com reveals numerous pages of matches; however, for both Windows and Mac we think the simplest to use is RealPlayer. RealPlayer includes a video downloader that works for most websites that we've encountered. On Windows, while viewing the video, a "Download This Video" button appears above the upper right of the video as shown in the image below. After clicking the "Download This Video" button, the "RealPlayer Downloader" will appear as shown below. After the video download completes, the video will be available in your RealPlayer library. On the Mac, the RealPlayer video download tool appears in the Mac Dock when viewing a website with Downloadable Flash content. If the "Download This Video" button does not appear, try opening the same web site in RealPlayer's internal browser. To do this, start RealPlayer and select Open from the File menu, then copy and paste the same URL from the browser into the RealPlayer Open dialog box.